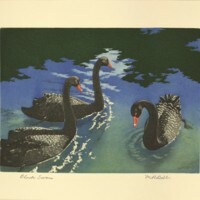 Color print titled "Tokido 53 Station (Hara)". 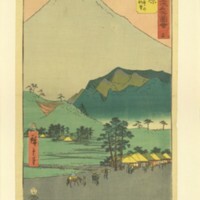 The piece depicts a small village below a large mountain, possibly Mount Fuji. 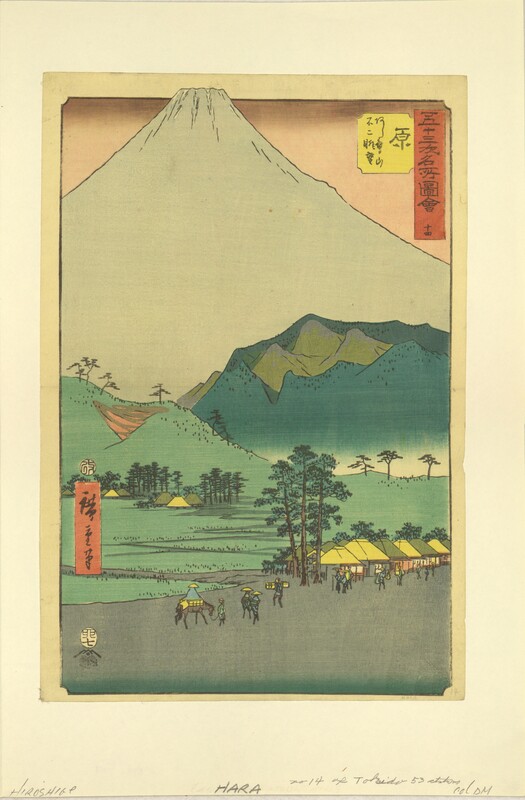 9 5/8" x 14 1/8"
Hiroshige, Utagawa (Ando) , “Tokido 53 Station (Hara),” Digital Exhibits, accessed April 22, 2019, https://cuexhibits.wrlc.org/items/show/169.